Establishing a framework for developing and implementing ecological monitoring and evaluation of aquatic rehabilitation in demonstration reaches. Posted on 25 January 2014 by emrprojects | Comments Off on Establishing a framework for developing and implementing ecological monitoring and evaluation of aquatic rehabilitation in demonstration reaches. 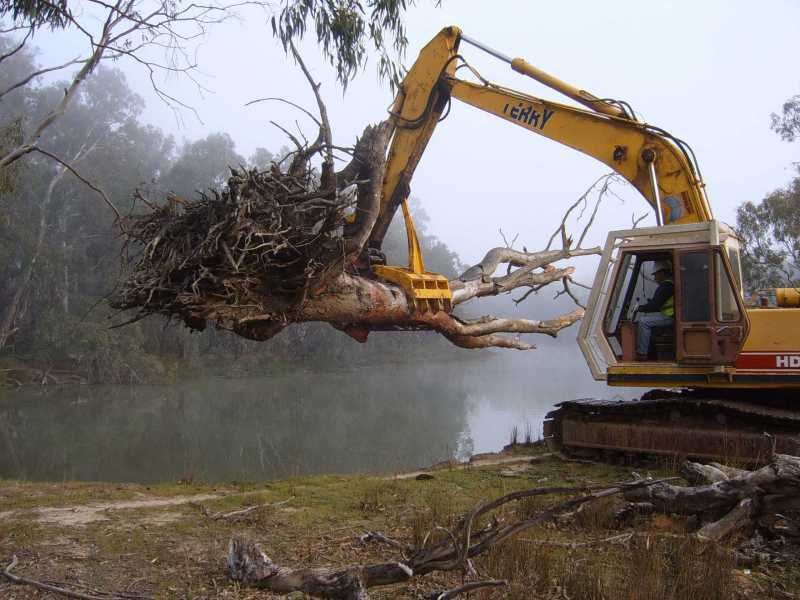 The ‘demonstration reach’ concept is a model with which to implement a holistic approach to native fish recovery in the Murray-Darling Basin’s (MDB) river systems. The model involves rehabilitation of the fish community through the simultaneous implementation of several key interventions. Demonstration reaches aim to enhance public awareness of how an integrated and adaptive approach to ecosystem management can have positive consequences for river health. Project objectives and methods: The objective of this project was to develop a scientifically-robust framework that can be adapted to monitoring and evaluating ecological response to river rehabilitation carried out within a demonstration reach. The project team undertook an extensive review of the available literature to describe key elements of effective monitoring programs, and compile information on the range of experimental design options, sampling and monitoring methods, performance indicators, and statistical analysis and reporting of results. This information was then used in the development of a framework for undertaking ecological monitoring able to be applied to demonstration reaches throughout the Murray-Darling Basin. Findings: This project developed a framework to enable the level of rehabilitation achieved through establishment of a demonstration reach to be evaluated. The framework provides detail on the following design criteria for monitoring demonstration reaches: Rehabilitation goals; Conceptual models; Indicators; Sampling methods; Experimental design; Power analysis; Optimisation of study; Statistical analyses; and, Implementation and reporting. The framework highlights that it is important to define rehabilitation goals before monitoring commences. The use of a conceptual model of the system that the demonstration reach is in is recommended to improve outcomes achieved. Conceptual models provide a simple way of pictorially presenting the way we believe a system operates. This will provide insight into the demonstration reach and inform the monitoring program by defining the scope of the reach and its problems, identifying linkages between physical, chemical and biological aspects of the system, identification of knowledge gaps and provide improved evaluation of the rationale behind proposed interventions. The framework states that decisions regarding the suitability of indicators should be made on a project-by-project basis, influenced by such things as project goals and objectives, key questions and hypotheses, the spatial and temporal framework (sampling design), community interest and project constraints such as time schedules and budgets. The framework provides advice on the duration and frequency of monitoring, ensuring that this is suitable for the intervention and responses to be monitored. Before undertaking the study, the framework provides advice on how to best determine the statistical power of the monitoring program to detect the desired responses, and goes further to provide information on appropriate statistical analyses that could be used to determine if responses observed are real. The framework finishes with an emphasis on the implementation and reporting process. Lessons learned and future directions: Following the design criteria presented in this framework will ensure that desired responses of rehabilitation are appropriate for each demonstration reach, and that these responses are going to be able to be measured in a meaningful way. This gives both researchers, managers and other stakeholders confidence in the process and will maximise benefits for native fish residing in the demonstration reaches and throughout the MDB. Contacts: Dr Craig Boys, Fisheries New South Wales. Tel: + 61 2 4916 3851, Email: craig.boys@dpi.nsw.gov.au. This entry was posted in Fauna & habitat, Fish, Freshwater aquatic, Monitoring, Planning, monitoring & assessment. Bookmark the permalink.